For a K–8 school, pair this program with The Boy Who Would Be Captain Hook for K–2. 30 minutes to set up. Artist brings a wireless mic and plugs into the school sound system. Please provide 3 or 4 armless chairs. 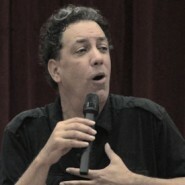 The message of David's show was fantastic, but it was his delivery that mesmerized our students. I have rarely seen middle school students so quiet and engaged during an assembly! I happened to connect with students in 5th through 8th grades after today’s assembly. Some comments in the hallways across all four grade levels included, “Wow, that was such an awesome assembly. I almost started crying at the end.” “He was really interesting, I really liked it!” “That was such an interesting assembly. He was really cool and funny.” Almost every student I walked by was talking about the assembly. It was remarkable to me that all of the students in 5th through 8th grades were engaged throughout David’s performance. That is a pretty hard feat to accomplish. He did an amazing job of being relatable to both kids who are newly 10 and others who are almost 14. It was a fantastic opening assembly and I look forward to having David back in a few years once we have a new group of students in the middle school. David Harrell exceeded all of our expectations! The school principal and teachers raved about his presentation. 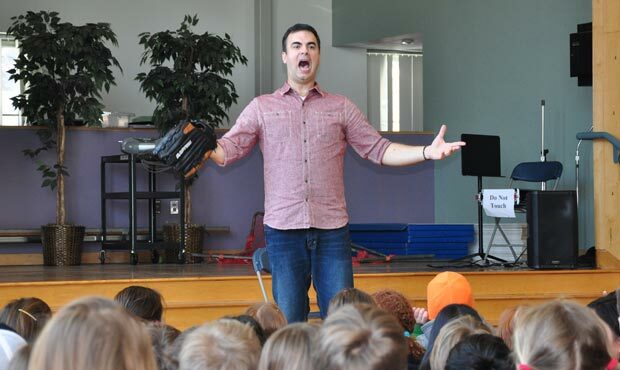 David was engaging and entertaining, and delivered a powerful message to the students about acceptance of oneself and others. I have already recommended David's program to another school in my district. This was a wonderful show and moving performance by David. I would highly recommend it to all! The kids enjoyed it and learned some important lessons. And the teachers loved it! David was an excellent performer addressing a tricky subject. The children were spellbound by his performance in both age groups. He was funny, fun, articulate, brave. Just excellent! 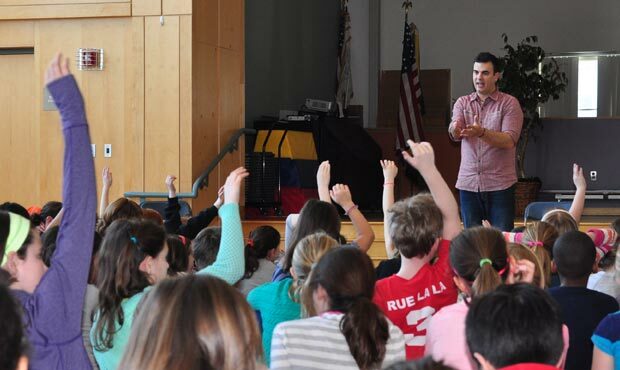 One teacher said, "He was able to connect with kids with his 'hip' humor and his acting about a very serious message. You could have heard a pin drop." Another said, "He was so inspiring and he really energized the kids!" Really, I can't say enough good things. Plus he was amiable and flexible, polite and interesting. Thanks for a great performance!! The teachers and kids LOVED David. His stories were engaging, inspiring, and entertaining, and teachers have told me, one week later, David's visit has been sparking some great classroom conversations. The show for grades 5–8 was one of the best I've seen at CPS. The one-man show was highly engaging and really drove home the point that we need to refrain from judging those who are different. 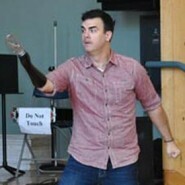 The life story shared by the actor through a series of comical and entertaining monologues truly helped students understand what it was like to grow up with a disability (prosthetic arm). Students learned empathy. At first they did not know what to make of the man with one arm, but as he begin to tell about his journey and the experiences he encountered—students were mesmerized!